Hey Folks! The miles are packing on as I plan to run 10 miles tonight. Yikes... I'm nervous and excited but most of all looking forward to finishing the ten miles and feeling the relief it brings to have it completed. The Half Marathon is in a very short 54 days! We are working hard to accomplish our $5,000 goal to raise money for Libby Ryder and her victory over cancer. As I have mentioned before, you can click the "chip in" ticker on the right of my page if you feel compelled to donate. ANY amount is greatly appreciated. Also, we have t-shirts now!! Here is some info about the t-shirts that I copied and pasted from Angie's Blog at Thirsty Hearts. Please support in any way that you can. If you'd like to run with us, you still have time!! Join up. If not, come watch up run and join us in the celebration of Libby's victory over cancer! * Update: T-shirt order deadline: March 21. Today, we have exactly 54 days until 13.1 Miles. And that means that you have 54 days left to support Team libby and the Ryder's. 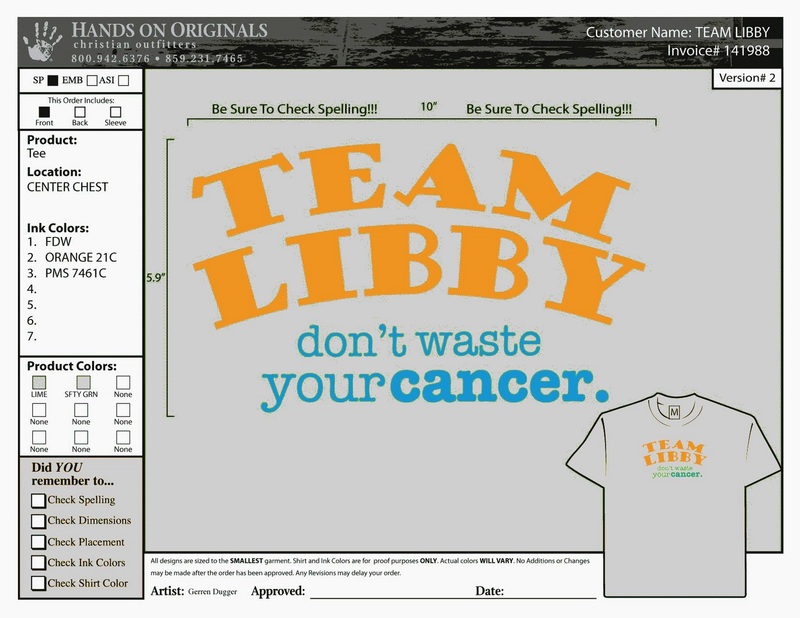 We are selling Team Libby t-shirts to help raise money. These shirts will be worn by the runners, and hopefully you too. Each shirt will have light orange and aqua blue writing. We are selling them in Silver and Safety Green. 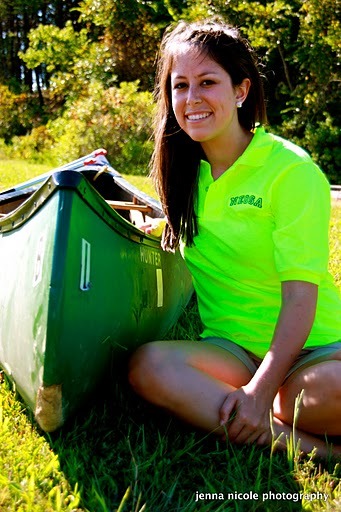 Here's a pic of what the "safety green" color will look like. It is color boosted a bit, but you get the idea. 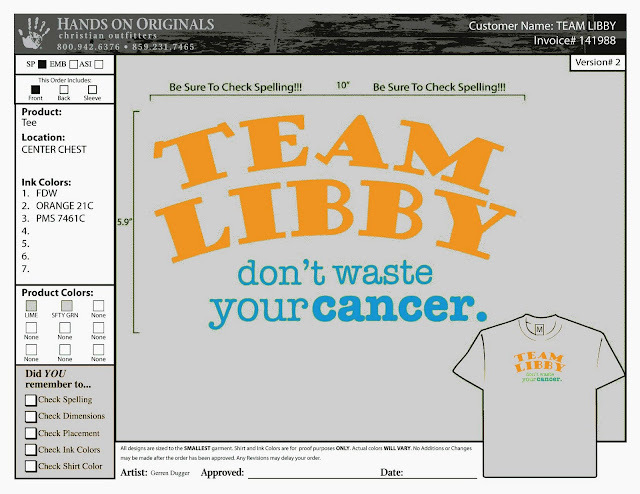 Same Team Libby design and colors on the front of this as well. Thank you for supporting us, thank you for giving. All proceeds go directly to the Ryder's.